Hey everyone, please, go check out the new HelpKorah website and join the movement. You'll notice a brand new layout and logo too (we decided to change the logo after another organization who came after us, pretty much hijacked our not only our name but also our original logo...whatever!!!). 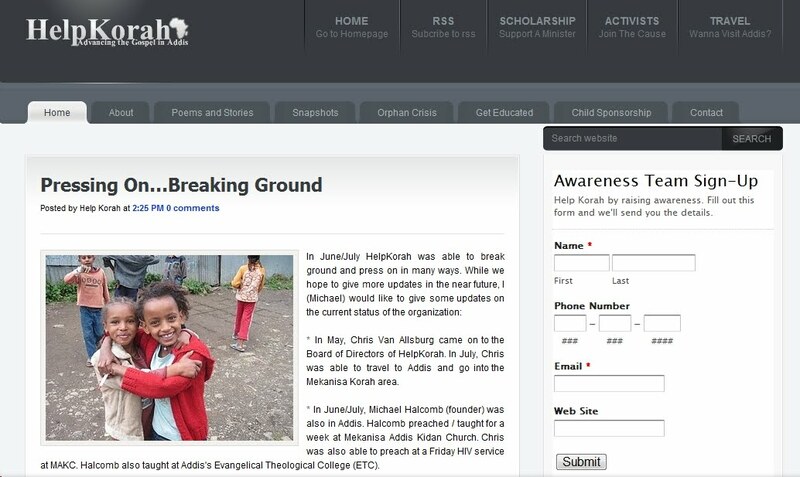 Anyway, there are lots of things brewing over there and in the coming days I'll be making some more announcements regarding our HelpKorah Bible Scholars initiative as well as our Child Sponsorship program. Anyway, again, please go check the site out and join our Awareness Team and support us on Facebook. Thanks, everyone.